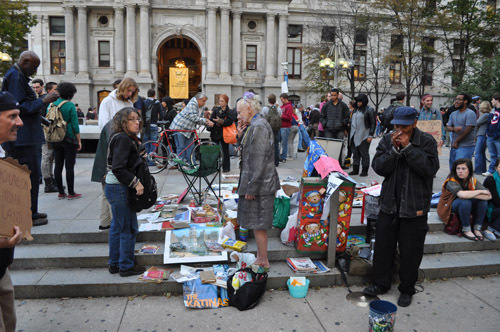 (Video and pictures are included below.) 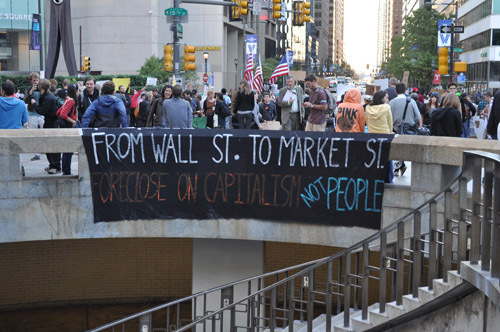 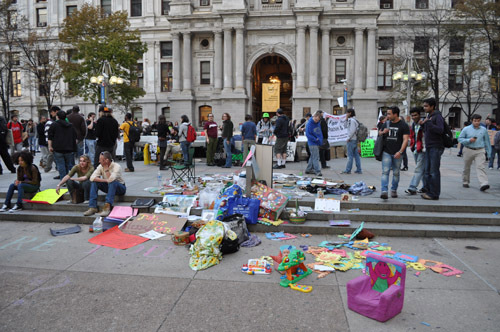 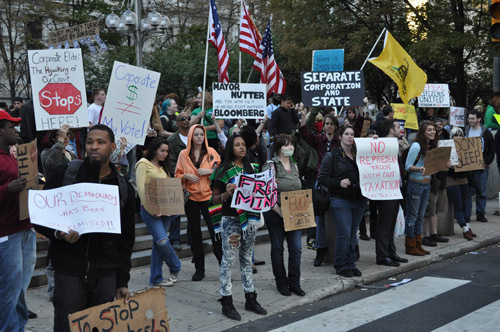 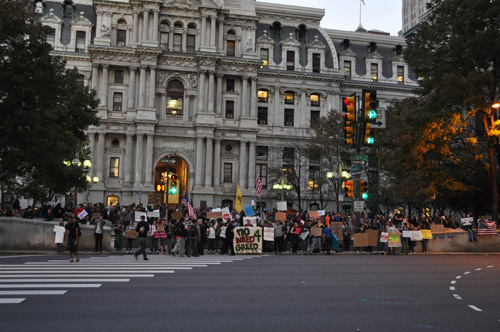 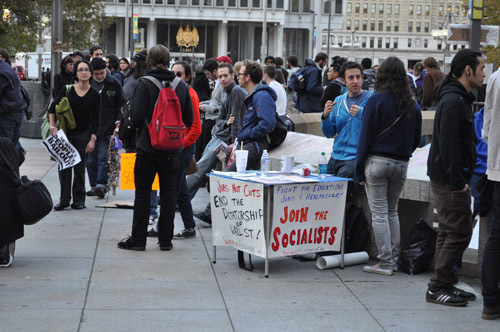 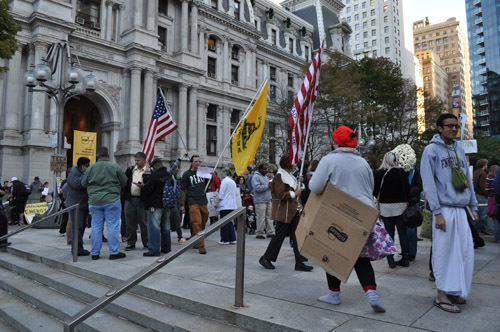 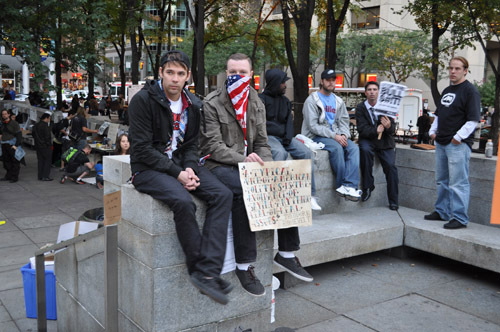 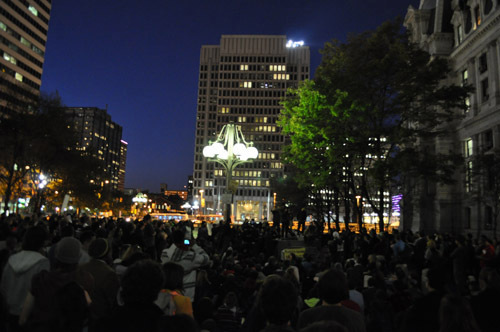 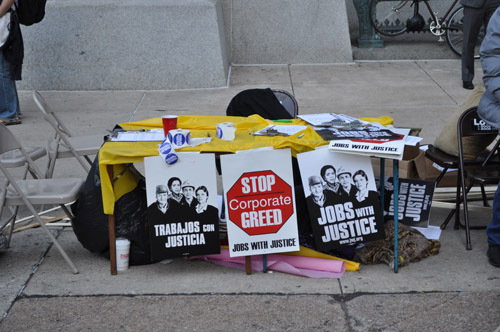 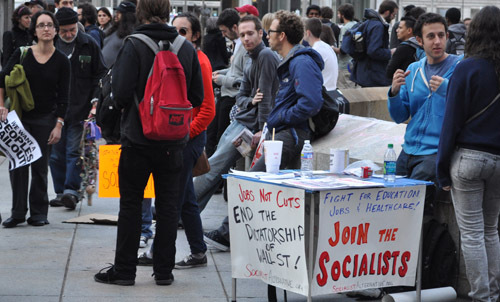 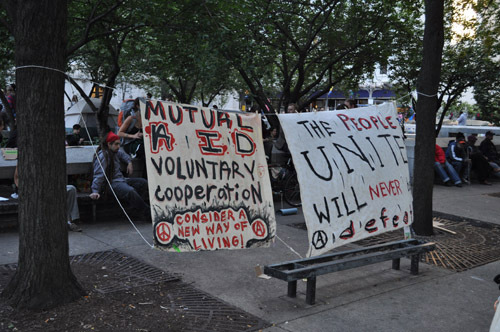 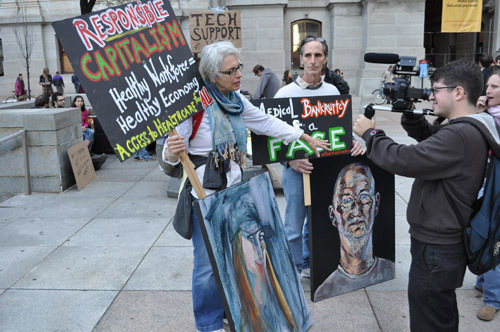 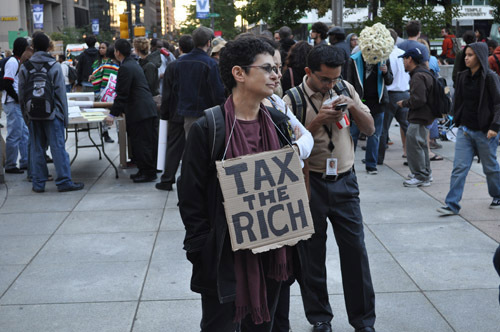 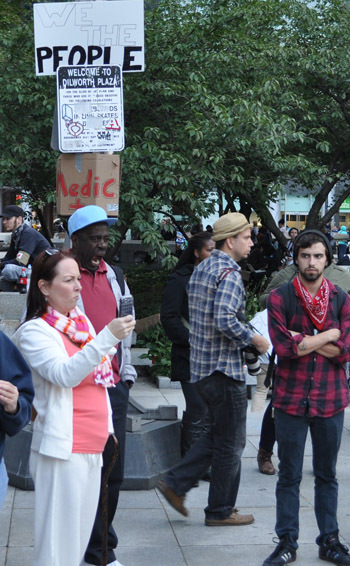 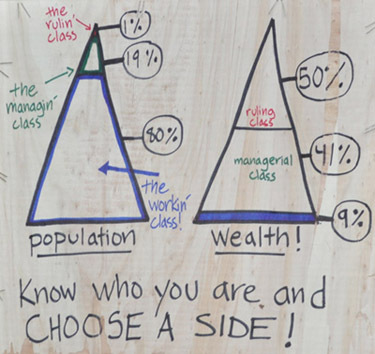 The Occupy Philly protests took place in front of City Hall in the square at 15th and Market streets. 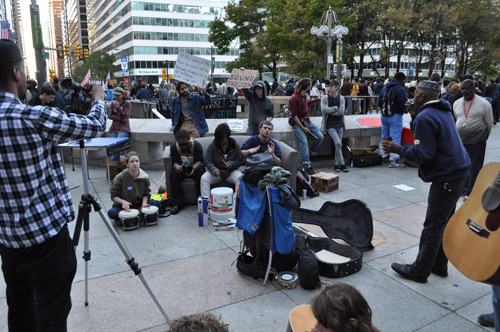 There was plenty of drum music, organizing meetings, and cardboard signs, just like the DC protests. 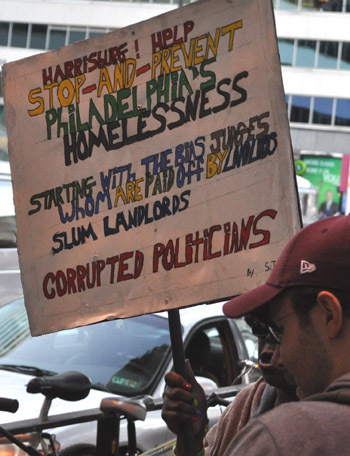 What was different from DC was that the crowd in Philly looked more impoverished and deprived. 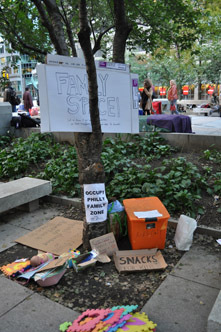 Participants present included the homeless, the downtrodden, the aggrieved, the transgender advocates and Hare Krishnas. 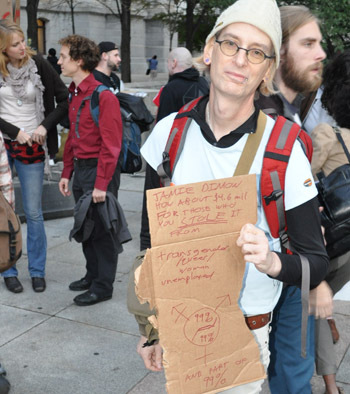 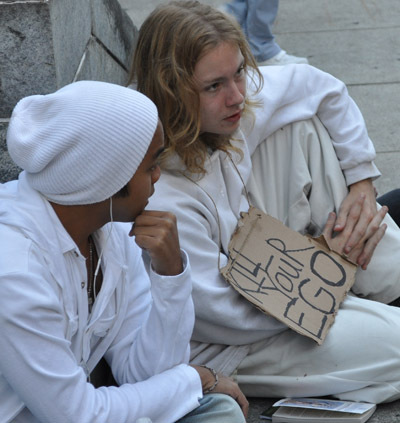 However, the city's up-and-coming suave, debonair and beautiful people also made an appearance and could be seen mingling with commoners and the disadvantaged and holding their very own ripped cardboard signs with magic marker messages. 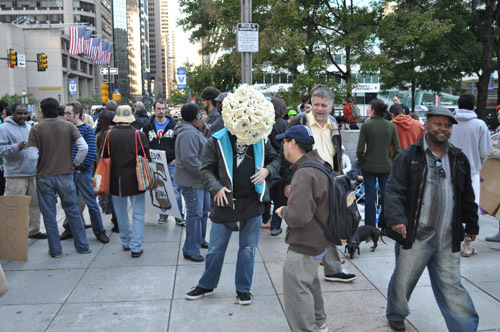 There were plenty of curious sight seers and tourists too. 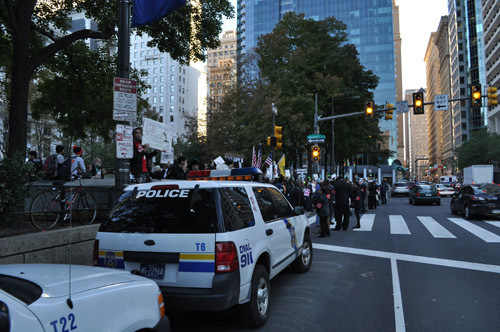 And of course the ambient chants of "Hare Hare, Hare Hare, Krishna Krishna, Hare Hare!"